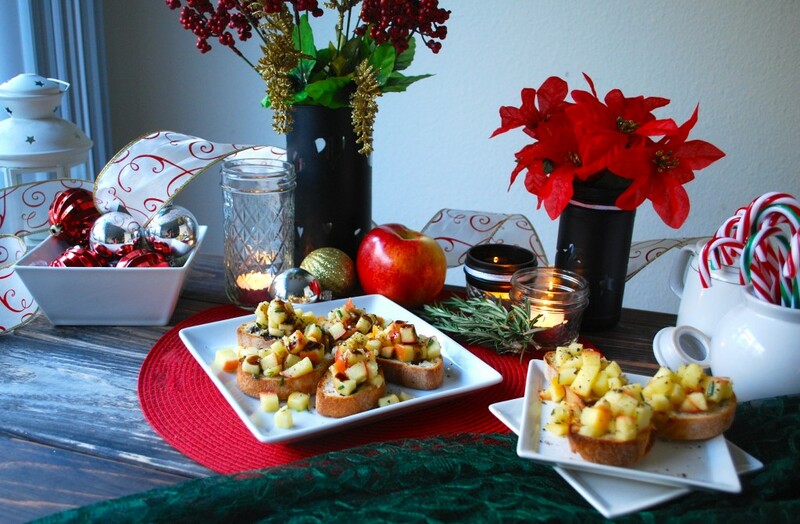 Crostini seems to be a staple at parties. They’re easy to throw together and you can pretty much top them with anything. Plus, they can be eaten with your hands, which is always fun! I was partly inspired to make this dish after eating the brussel sprouts at one of my favorite L.A. restaurants: Mohawk Bend. 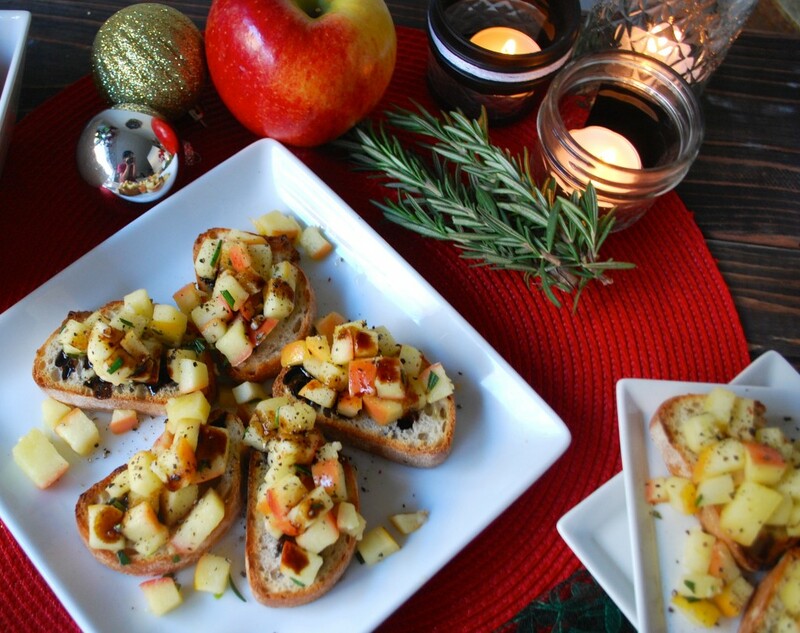 They’re super savory but have fruit sautéed in with them so there’s a touch of sweetness. 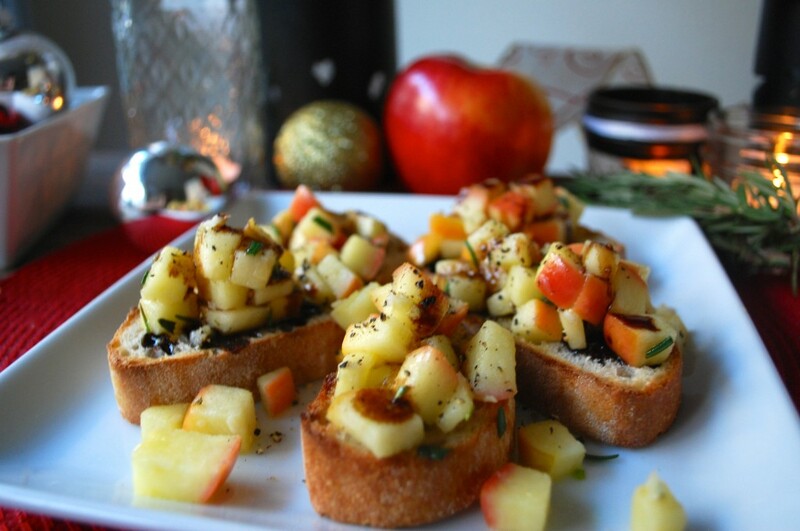 I wanted to make my own savory fruit concoction but have the main focus on the fruit. For some texture variation, I knew a crusty piece of baguette would be the perfect compliment to the soft warm apples. I used a lot of garlic in this recipe because like I said before, I love me some garlic and my motto is you can never have enough, so feel free to use less if you aren’t as in love with it as I am. Also, I left the skins on my apples, but you can peel yours if you like. I happen to think the skins make it prettier. The thing that takes these babies over the top though is a really good balsamic drizzled on top. Don’t skimp out (I mean, unless you have to). Go to a specialty shop and get some quality stuff. I happen to be lucky enough to have a brother that lives in Italy, so he usually brings some back with him when he comes to visit. 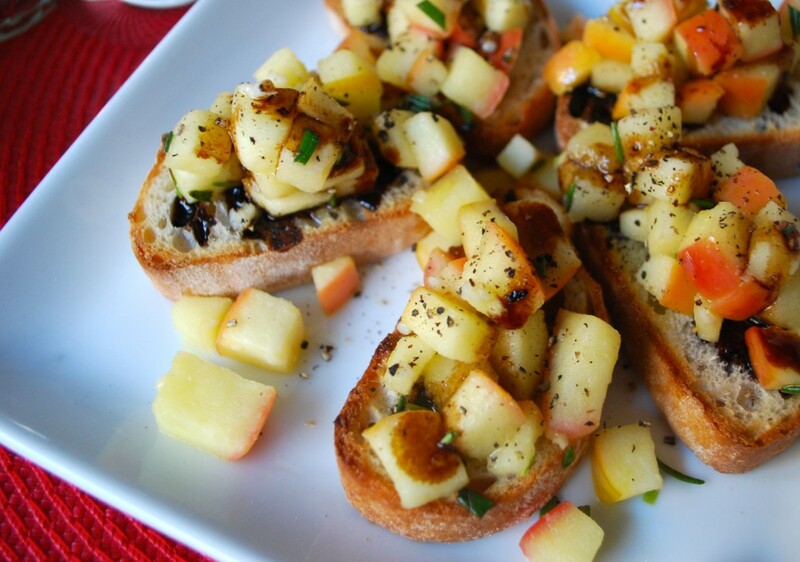 The tanginess from the balsamic adds the ultimate flavor layer to the sweet & savory combo. I made some with and some without and the with FAR exceeded the without as far as taste was concerned. But you can play around to whatever suits your likes. I’m a bit sad that this week is over, though the recipes may seem simple it’s always a challenge for me to come up with recipe ideas and something like this forces me to. I hope you’ve all enjoyed it and if you make any of them for holiday parties I would love to see pictures!